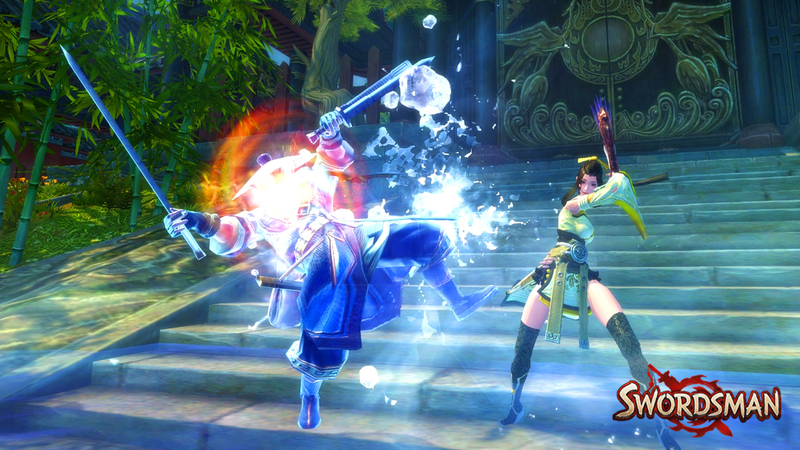 Perfect World's latest MMORPG, Swordsman, draws heavily from East Asian martial arts. Perfect World is all about MMO titles. 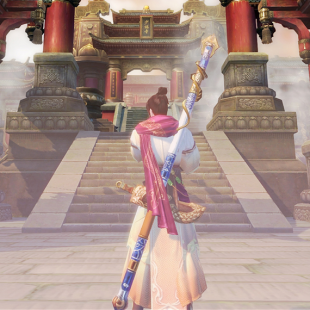 With a new client launching specifically for MMORPGs, the company has been hard at work on its latest title, Swordsman, a martial arts-inspired MMO where you "play in your own kung fu movie," as one of the developers put it. 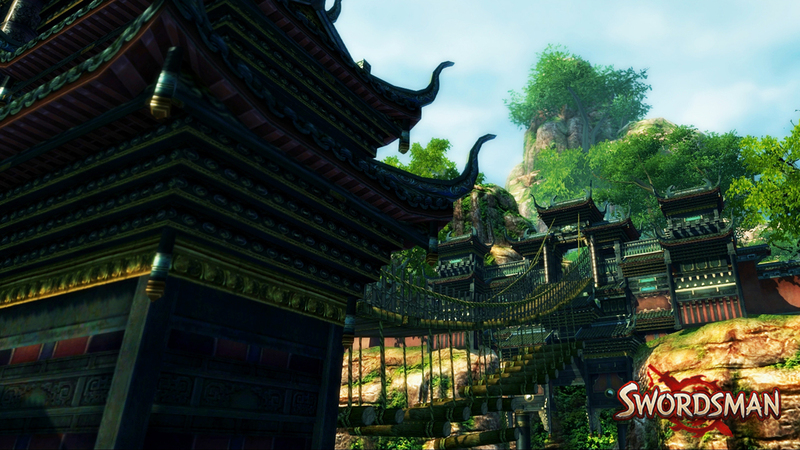 Swordsman follows standard MMORPG mechanics and just places players in a different setting. 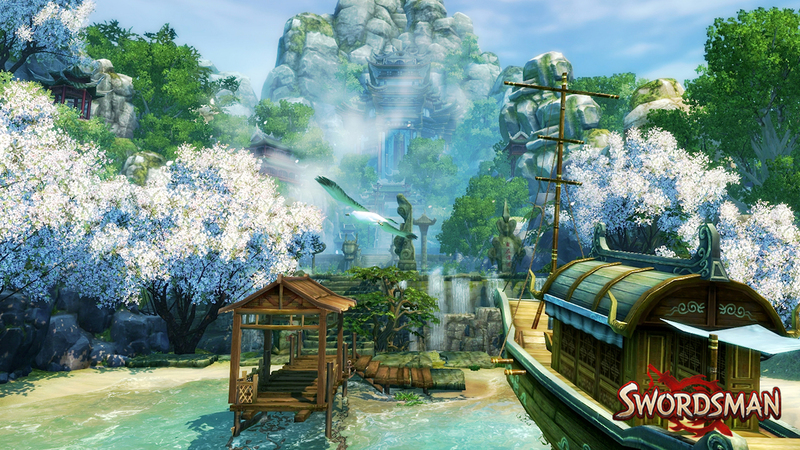 Instead of a typical western or indistinct fantasy setting, the game draws heavily on East Asia and martial arts styles. The player is forced to leave their village when it's attacked by people seeking a specific sword. The player takes the sword and travels, both learning about the history of the sword and seeking revenge for the destroyed village. I only saw the beginning of the story and played one section halfway through the plot, and it didn't grab me. Revenge stories are fairly dull and overused by this point. What Swordsman has going for it is its setting and combat. There may already be an MMORPG that's inspired by fanciful swordplay and hand-to-hand combat, but the ones I tend to see are more generic. Perfect World's Swordsman features 10 different martial arts schools within the universe, and it worked with martial artists for motion capture and background. 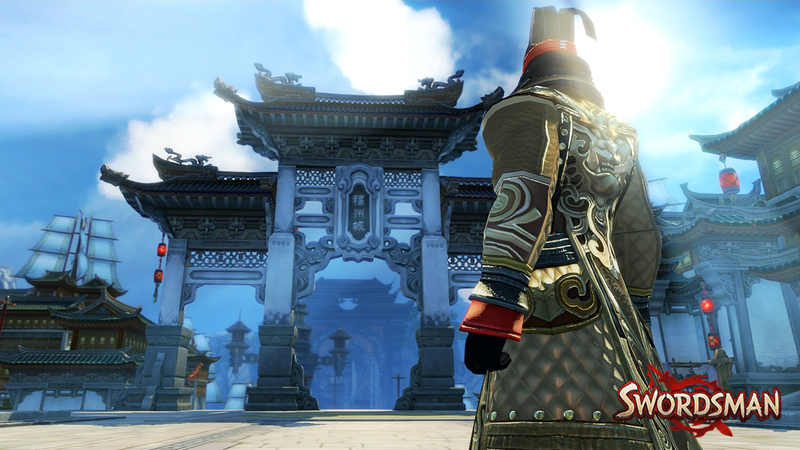 The game itself is based on Chinese novelist Louis Cha's work in the martial arts and chivalry genre. The game's voiced dialogue is all in Mandarin Chinese with subtitles, and Perfect World states the game already has 80 million players in China. Swordsman is based less on stats and more on action and player skill. 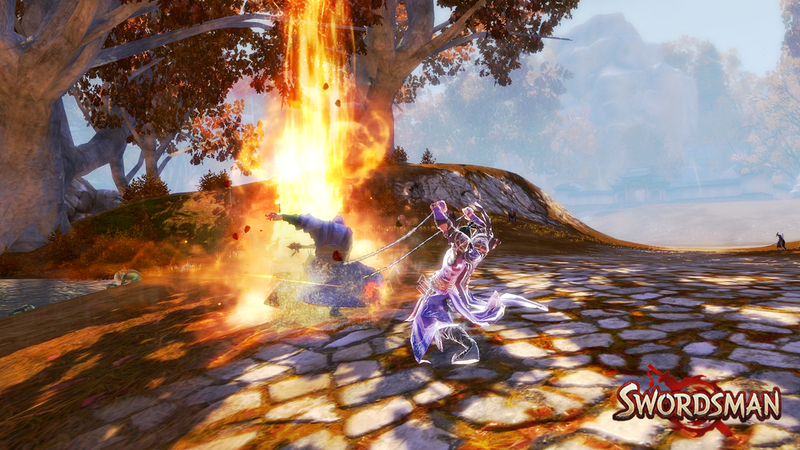 The player will have a variety of combat styles to choose from with different attacks that can be cycled through for adapting to different situations. 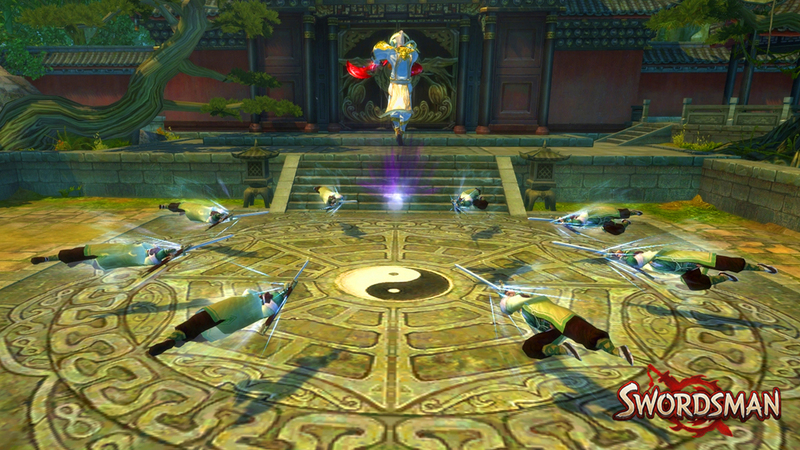 Players have special attacks, triple jumps, attacks and evasion mid-air, and styles to switch through. Even healers will move around quickly as most healing abilities are limited to an area, so the whole group will be on the move. The character creation was robust and impressive; the system gives the player extensive control over details of characters' faces and bodies. Options are available for male and female characters, and there are many options for hair, faces, and bodies, and almost everything offers a level of detailed control for the player to adjust. Players can also export character models to share with other players or just have fun creating different characters. 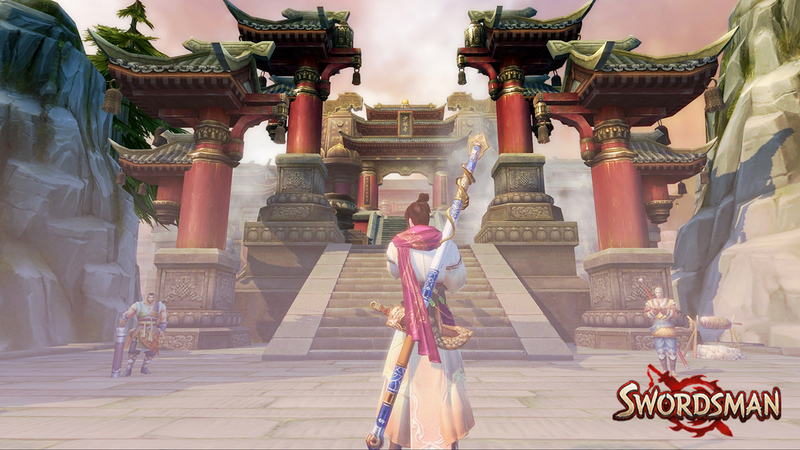 Swordsman's closed beta launches tomorrow, June 16, and the open beta will launch at an unspecified date in the future. Swordsman is available only on PC through Perfect World's client Arc, a Perfect World-operated platform the company designed specifically to join together its different MMO games in one place, as well as encourage other MMO developers to publish on Arc. So far Perfect World has 12 MMO games together under Arc. Instead of operating the games independently, all of the games are together under one place, which gives players convenience and Perfect World the ability to encourage players to try out other free-to-play MMOs they want to try. Senior engineer Mark Hill explained why Perfect World wanted its own client. "The most important thing for us is retaining our users," Hill said. "To effectively retain users, you have to give them content, and any game developer knows that, especially for online MMO games." Perfect World wants to continually show players new games they may be interested in. The platform's online portal allows players to socialize through the forums, contact support, view news, and of course, visit the storefront. The games are free to play, but players can purchase various items appropriate to the game as extras. Most of these purchases are made in-game, and the storefront allows players to add to their wallet outside of games. Previously, currencies were confusing to keep up with in Arc as they had to go through several layers of exchanges. From the site, players can select from a dropdown menu how much real-world local currency they're putting it and then select a game from their played games. Each game has a different exchange rate, but players will see exactly how much they're getting. Hill says this addition to the client was an effort for increased transparency, so that players would be less confused how their money translates into the game. From arcgames.com, players download games they want to play. Some of these games have long downloading times - Swordsman takes up about 8GB - and not everyone has a great internet connection. Perfect World has begun rolling out a progressive download system that enables games to be played after a set amount has already been downloaded. In Swordsman's case, this is 1GB. "We know our demographics, and we know we have players from all over the world, and a lot of them come from places that don't have high bandwith speed," Hill said. There are several other clients - Steam being the most popular, but Arc isn't trying to compete with Steam. 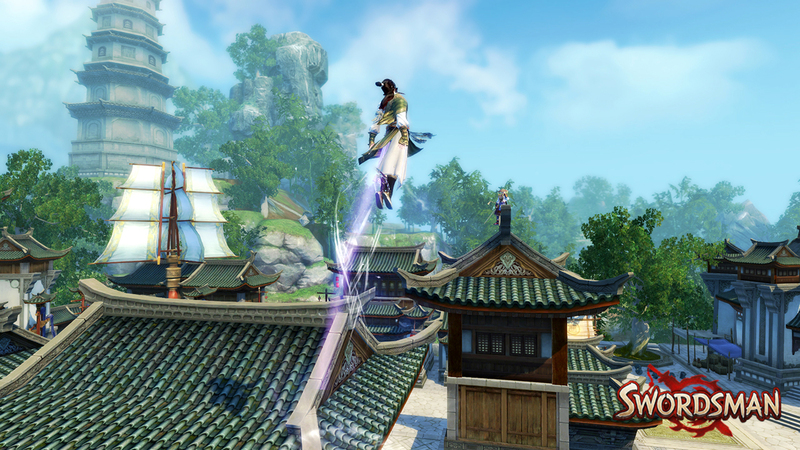 Arc is very specifically for players only interested in playing free-to-play MMOs. Hill said only 30 percent of players using Arc have another client, such as Steam, Origin, or Uplay. Perfect World wants to keep people playing their games. They're not the most popular, but the publisher knows its audience, and it has no intention of trying to create another Steam. 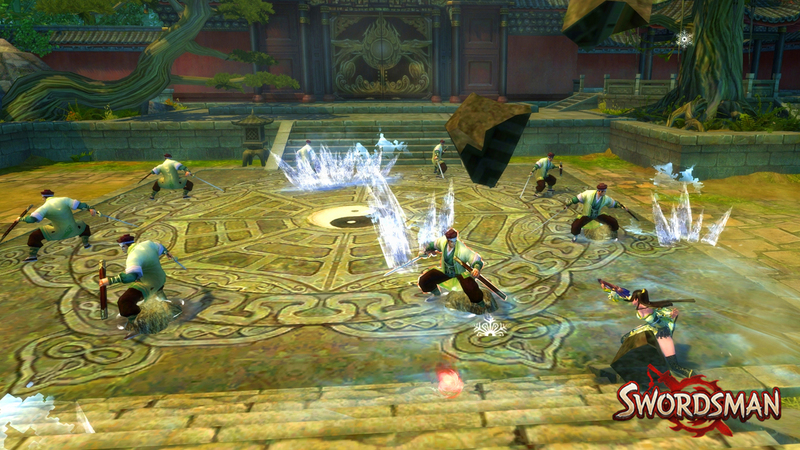 Swordsman and other similar games, such as Dawn of the Immortals, are available for download through Arc.